This print is one of a portfolio of seven different photogravures: to see the other six prints, search National Print Gallery, Eve Arnold. Each print is available individually, and also the set of seven plus colophon presented in an embossed portfolio box. The first gravures were made as early as 1853 by Fox Talbot. Today, only a very few studios exist with the skill and equipment to make and edition dust grain gravures.Ã�ï¿½Ã¯Â¿Â½Ã�Â¯Ã�Â¿Ã�Â½Ã�ï¿½Ã�Â¯Ã�ï¿½Ã�Â¿Ã�ï¿½Ã�Â½Ã�ï¿½Ã¯Â¿Â½Ã�Â¯Ã�Â¿Ã�Â½Ã�ï¿½Ã¯Â¿Â½Ã�ï¿½Ã�Â¢Ã�ï¿½Ã¯Â¿Â½Ã�Â¯Ã�Â¿Ã�Â½Ã�ï¿½Ã¯Â¿Â½Ã�ï¿½Ã�Â¯Ã�ï¿½Ã¯Â¿Â½Ã�Â¯Ã�Â¿Ã�Â½Ã�ï¿½Ã¯Â¿Â½Ã�ï¿½Ã�Â¿Ã�ï¿½Ã¯Â¿Â½Ã�Â¯Ã�Â¿Ã�Â½Ã�ï¿½Ã¯Â¿Â½Ã�ï¿½Ã�Â½Ã�ï¿½Ã¯Â¿Â½Ã�Â¯Ã�Â¿Ã�Â½Ã�ï¿½Ã�Â¯Ã�ï¿½Ã�Â¿Ã�ï¿½Ã�Â½Ã�ï¿½Ã¯Â¿Â½Ã�Â¯Ã�Â¿Ã�Â½Ã�ï¿½Ã¯Â¿Â½Ã�ï¿½Ã�Â¨Ã�ï¿½Ã¯Â¿Â½Ã�Â¯Ã�Â¿Ã�Â½Ã�ï¿½Ã�Â¯Ã�ï¿½Ã�Â¿Ã�ï¿½Ã�Â½Ã�ï¿½Ã¯Â¿Â½Ã�Â¯Ã�Â¿Ã�Â½Ã�ï¿½Ã¯Â¿Â½Ã�ï¿½Ã�Â¢Ã�ï¿½Ã¯Â¿Â½Ã�Â¯Ã�Â¿Ã�Â½Ã�ï¿½Ã¯Â¿Â½Ã�ï¿½Ã�Â¯Ã�ï¿½Ã¯Â¿Â½Ã�Â¯Ã�Â¿Ã�Â½Ã�ï¿½Ã¯Â¿Â½Ã�ï¿½Ã�Â¿Ã�ï¿½Ã¯Â¿Â½Ã�Â¯Ã�Â¿Ã�Â½Ã�ï¿½Ã¯Â¿Â½Ã�ï¿½Ã�Â½Ã�ï¿½Ã¯Â¿Â½Ã�Â¯Ã�Â¿Ã�Â½Ã�ï¿½Ã�Â¯Ã�ï¿½Ã�Â¿Ã�ï¿½Ã�Â½Ã�ï¿½Ã¯Â¿Â½Ã�Â¯Ã�Â¿Ã�Â½Ã�ï¿½Ã¯Â¿Â½Ã�ï¿½Ã�Â¨The plates for the seven photogravures in Eve Arnold's portfolio were made by Hugh Stoneman of Stoneman Graphics, Cornwall and were printed by Michael Ward at his Atlas Print Studio, London. 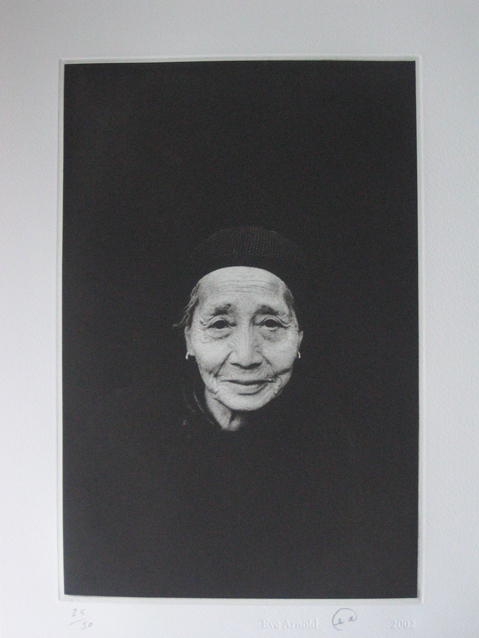 These prints were made for an Eve Arnold exhibition at Zelda Cheatle Gallery, London in 2002, attended by the artist. Each print was overseen, approved and initialled by the artist.